New Painting for Bad Robot!! Added on April 25, 2013 by brandon sopinsky. 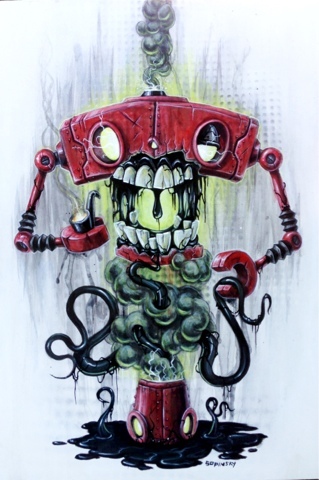 "Smoking Is Bad For Robots" new painting available at Gallery 1988 West! Come check out the opening this Friday! Go to http://www.gallery1988.com to view the show online! 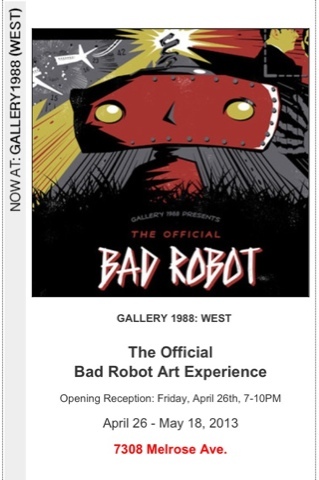 In "Bad Robot", "Gallery 1988", "Sopinsky"